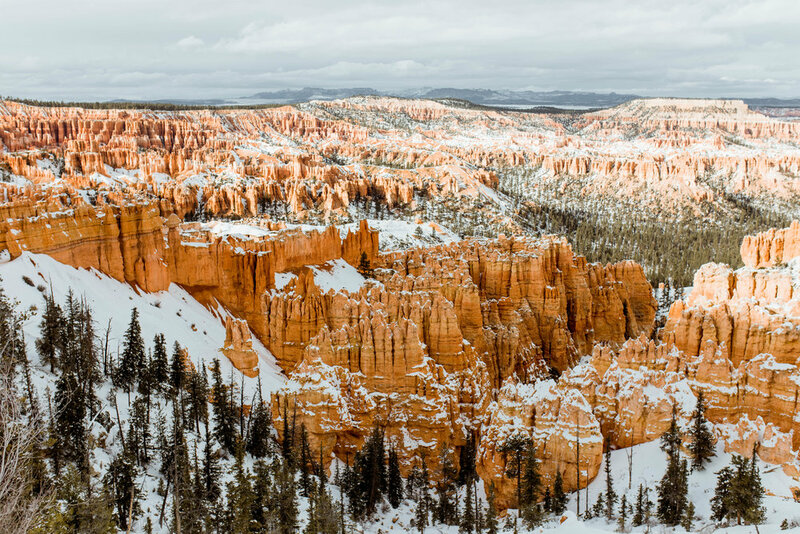 It's hard to find words to describe Bryce Canyon's magical hoodoos in the wintry snow. 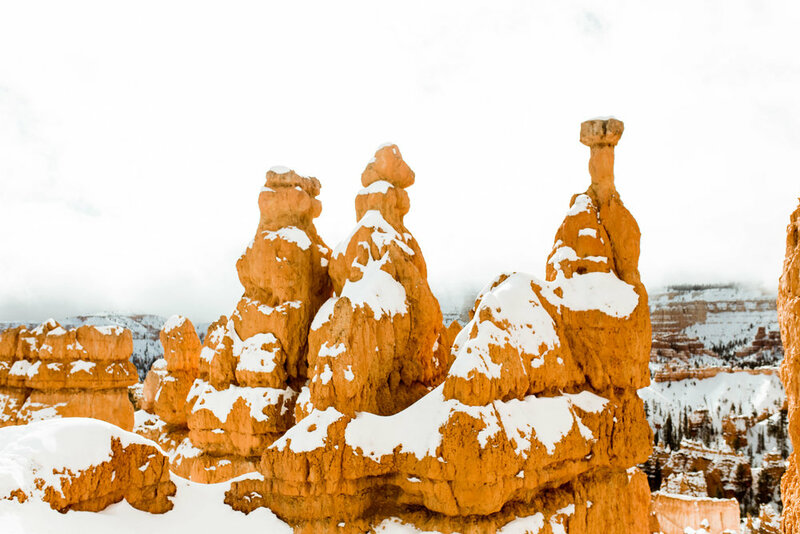 (For those of you who don't know, hoodoos are the tiny little spires that make Bryce Canyon so unique and beautiful.) This Utah National Park is one of the most underrated in my opinion. No one seems to be talking about it, but OH MY WORD they should. My husband and I visited this bright orange canyon on January 1, 2017 as a part of our winter Utah road trip. On this trip we hit up 3 National Parks: Arches, Bryce, and Zion. 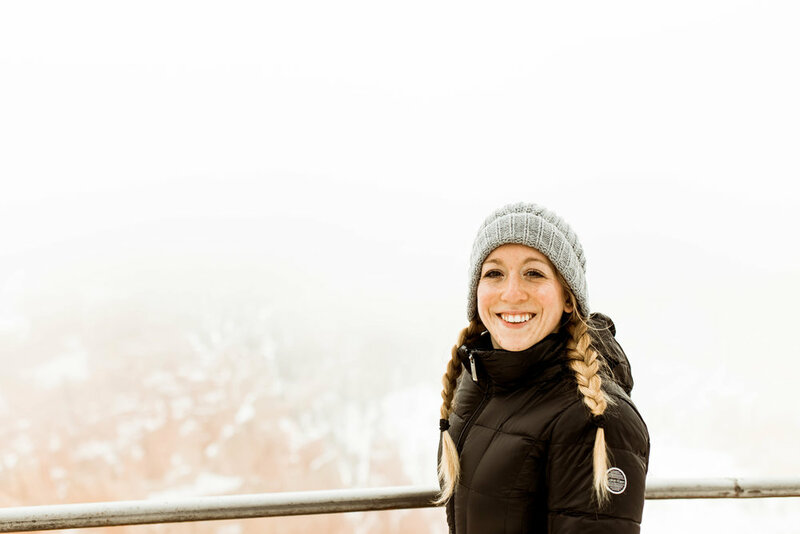 Part 1 of this blog series is all about our experience at Arches, and you can read it here. We spent 2 days here and though it would have been nice to get another day to explore, I think this park is totally doable in 2 days. 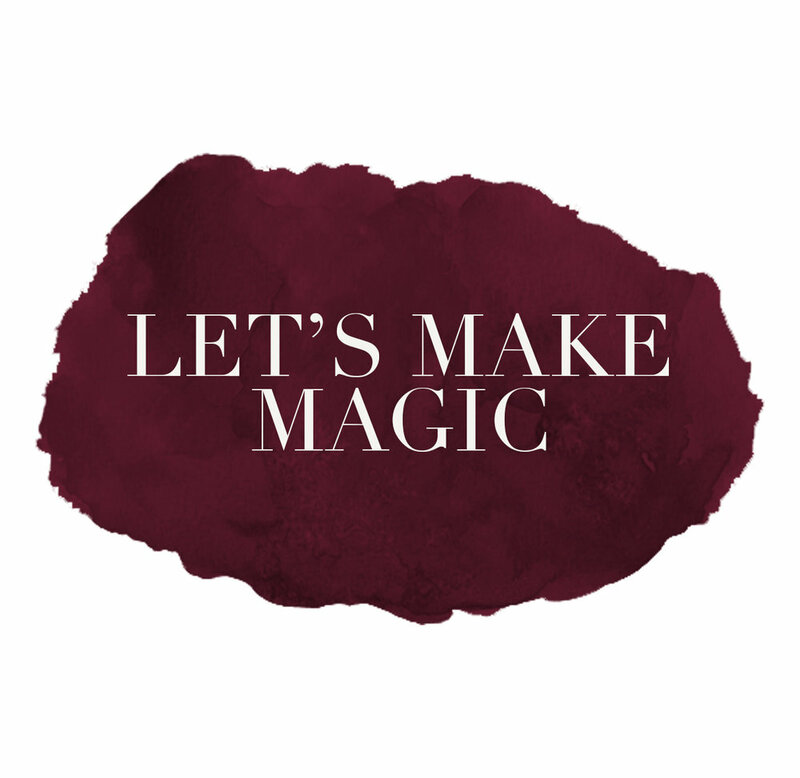 Here's what we did! We got to the park on the morning of January 1st. It was super foggy and we were a bit worried we wouldn't be able to see any of the canyon through the fog. We parked at Sunset Point, and as we made our way out into the lookout point, it was pretty foggy. You could barely see the spiral-y hoodoos and snow covered canyon below. As we turned to go down into the canyon on the Queens Garden trail, a miracle happened. The fog slowly started to recede and the clouds opened up. As we slowly descended into the colourful canyon, it felt like walking into a fairytale. I don't know how else to explain it. There were multiple times while going down into the canyon that I just had to stop and take in the beauty. Bryce is UNREAL. 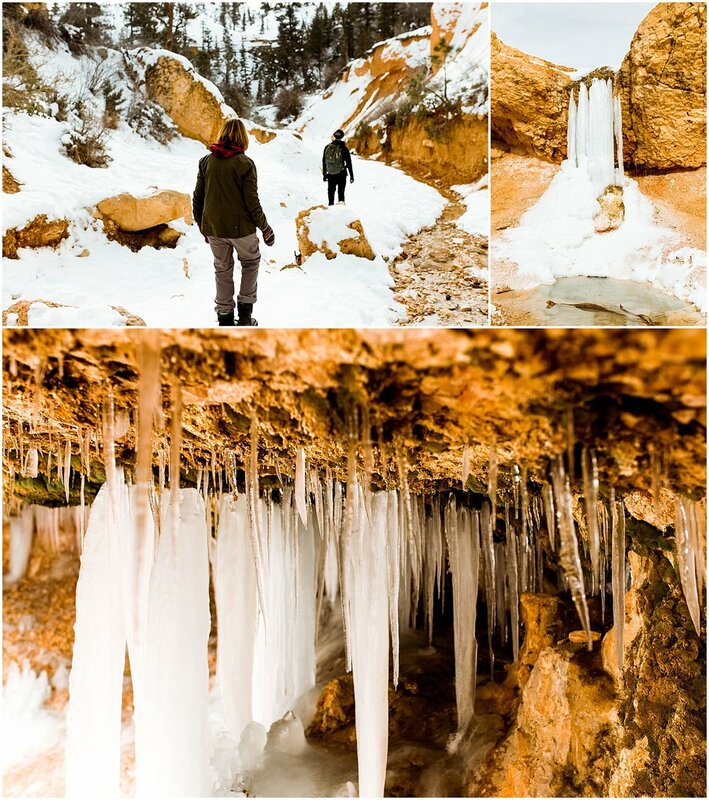 Especially in the winter, Bryce is a magical fairyland of beauty. The only hike we did on Day 1 was a combination of the Queens Garden Trail and the Navajo Trail. Queens Garden/Navajo Loop Combination Trail - Moderate - 2.9 miles roundtrip - If you only have 1 day in the park, I would highly recommend this one. It's pretty doable for all ages. You get the best of both worlds by doing both these hikes, making a loop to see more of the canyon. Start at Sunset Point and hike the Rim trail North along the top edge of the canyon. Then when you get to Sunrise Point turn and take the Queens Garden Trail down into the canyon. Once you're in the canyon, you'll see a turnoff for Navajo loop. Take that. It will take you through a huge switchback back up the canyon to Sunset Point where you started. The rest of Day 1 we spent driving the main road alongside the canyon and stopping at each lookout to see the different perspectives Bryce had to offer. If you have a car, this is a fun way to take a break from all the hiking while still seeing incredible views along the way! Day 2 we started off doing a pretty easy trail on the other side of the park, Mossy Cave. Mossy Cave - easy - 0.8 miles roundtrip - This trail is a streamside walk up to a mossy overhang and small waterfall. Since we visited in January, both the overhang and waterfall were frozen, making it a really cool spot to see in the park. Andrew's mom wasn't feeling very well this day, so after Mossy Cave she decided to go back to the hotel and rest. 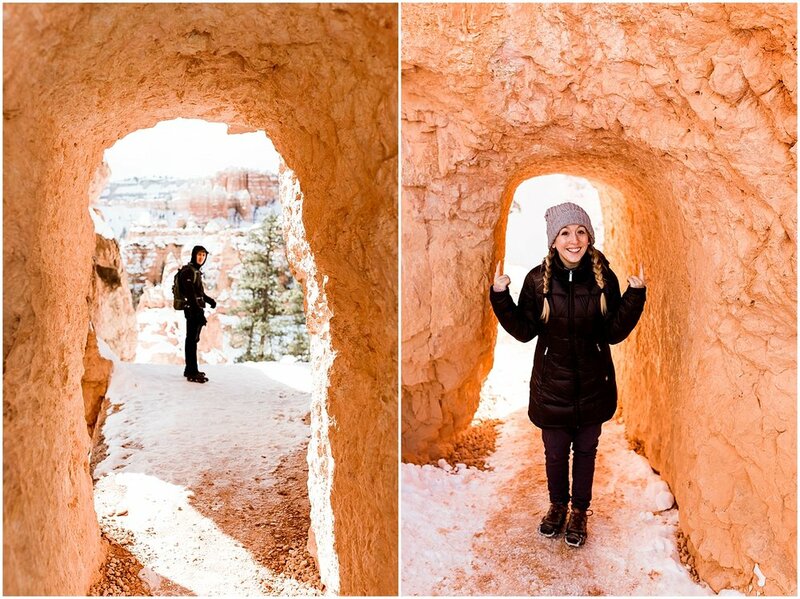 Andrew and I took the opportunity to do a harder, more intense hike, that was my favourite in Bryce Canyon, Peek-a-boo Trail. That's it for Bryce Canyon! 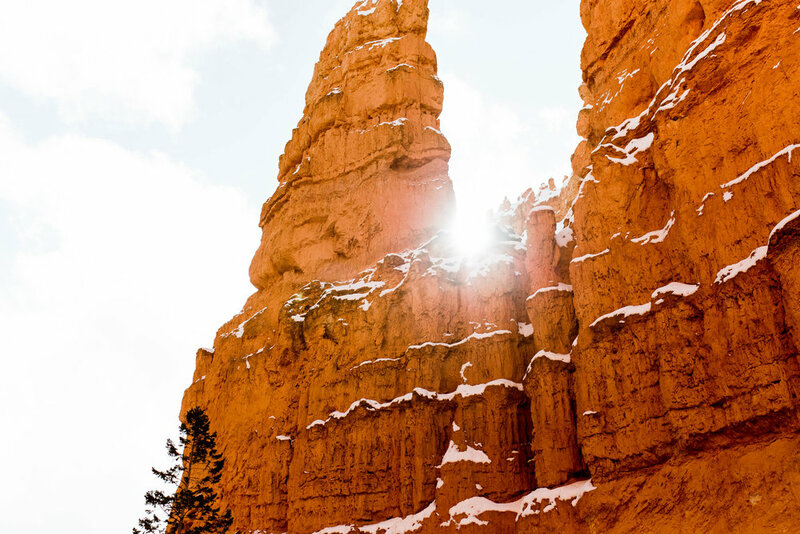 I hope this blog post was enjoyable and helps you decide what to do if you're headed to the magical land of hoodoos soon! 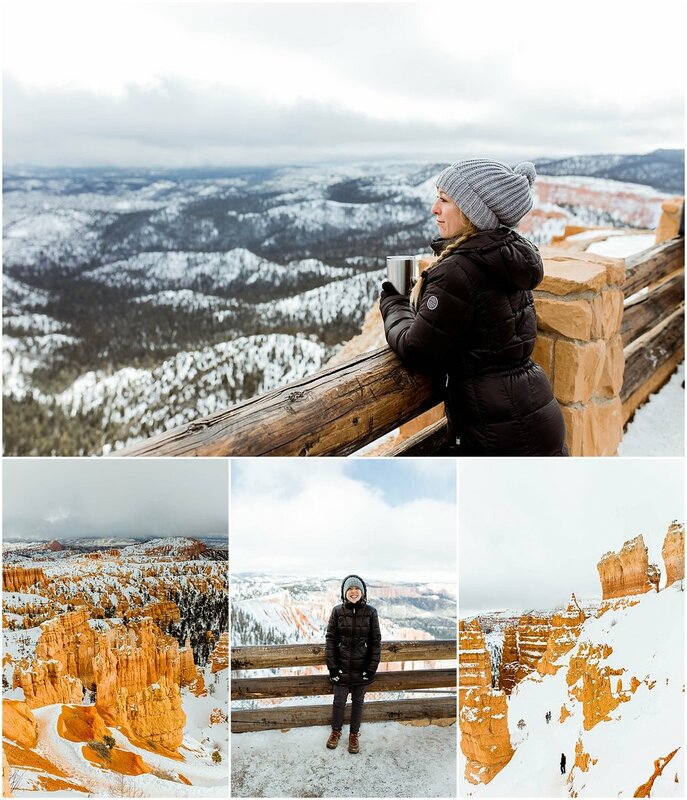 And if you've been to Bryce Canyon I'd love to hear what YOUR favourite part of the park was?! Leave me a comment below! Also be on the lookout for the last post in this Utah travel series coming soon..... ZION NATIONAL PARK! !